The Tectoy Genesis looks great and all, with it using original hardware, including built-in games and ability to play actual Genesis cartridges, but the fact that it didn’t include HDMI meant that it couldn’t truly rival Nintendo’s mini NES, at least in the average consumer’s eyes. 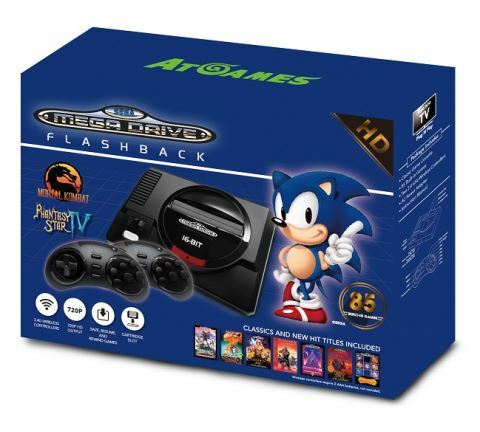 But we’ve learned that AtGames will release a new Genesis, called the Mini Megadrive, that could actually be that contender, and it’s coming later this year. The new system is designed to look like a Model 1 Genesis and will come with 85 pre-installed games, 2.4G wireless controllers, a cartridge slot and an HDMI out that will output video at 720p. It’s now available to pre-order for a $10 limited-time discount at 79.99 Euros and is scheduled to begin shipping on Sept. 15. Of course, we know that AtGames’ previous efforts in manufacturing Genesis clone systems have left a lot to be desired, especially in the sound department, so the jury is still out on whether this system is truly worth your investment.